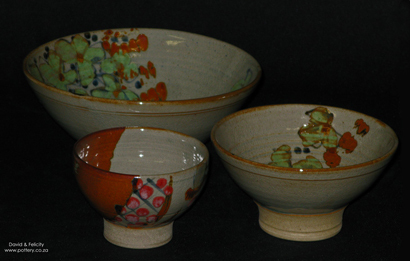 Some of our current work in reduction-fired stoneware and porcelain. 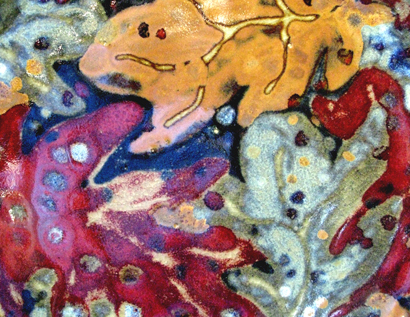 Here we will try to convey some of the innovations and developments taking place in the studio. 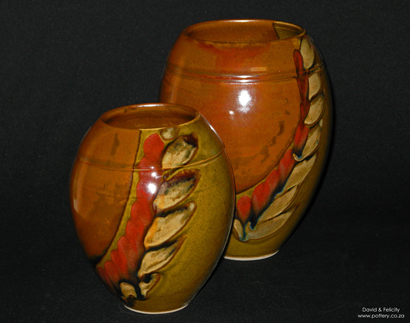 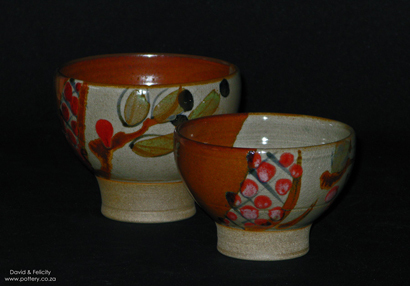 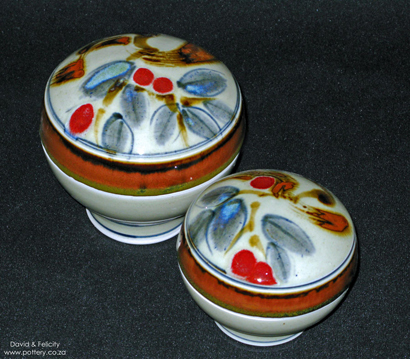 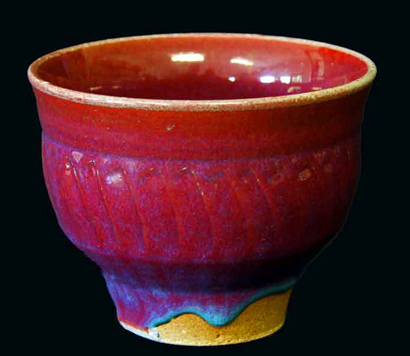 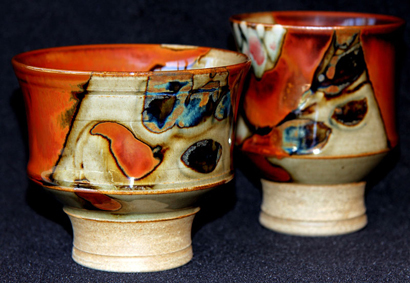 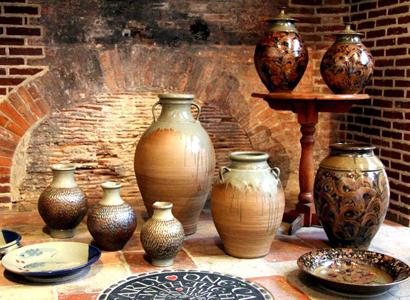 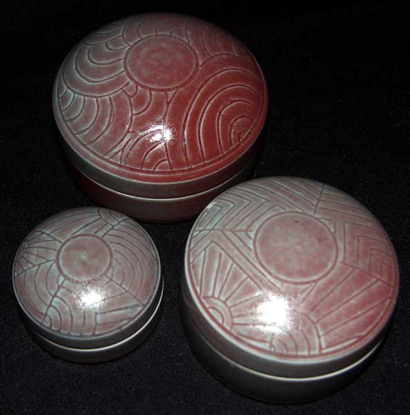 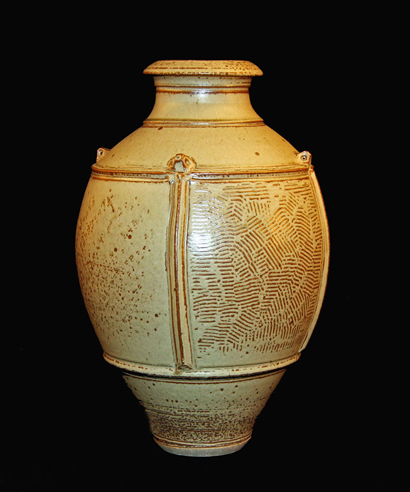 The captions accompanying the pots will provide a brief description of each piece. 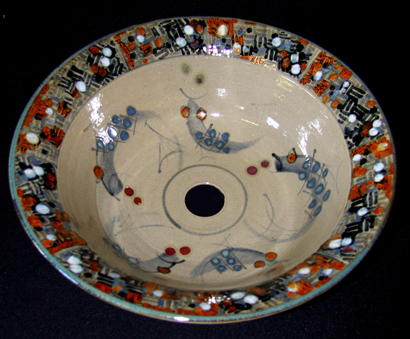 Wash basin in stoneware. 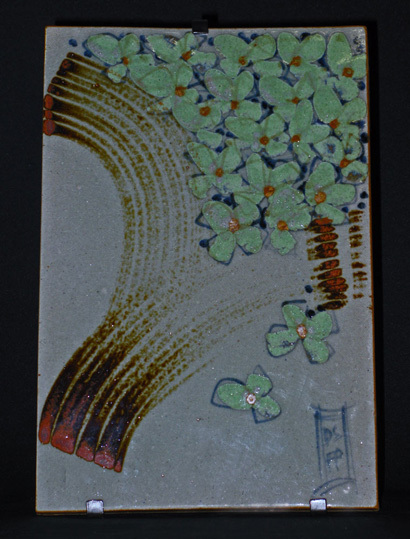 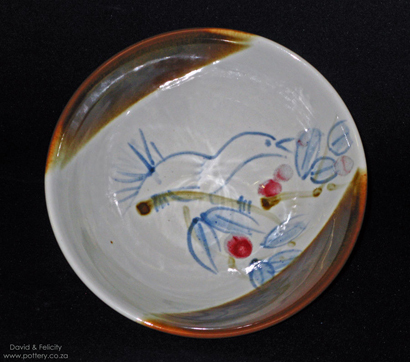 Grey/green glaze with brush decoration using iron, cobalt, copper and rutile. 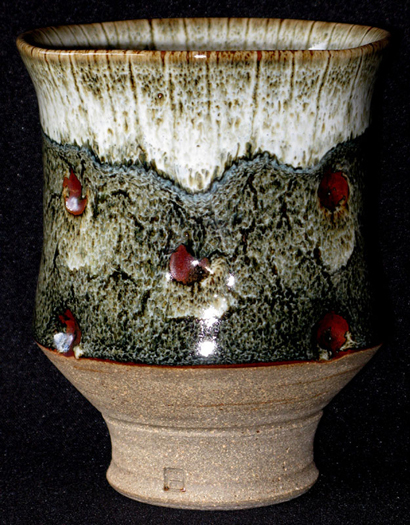 Stoneware chalice. 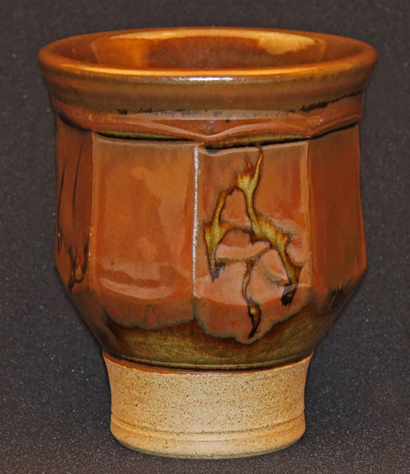 Wood ash over iron. 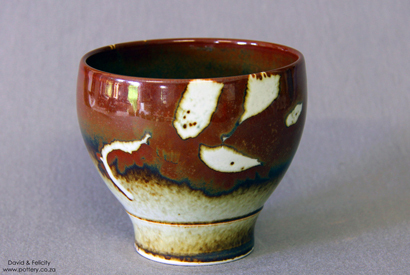 Thrown, turned and faceted stoneware bowl. 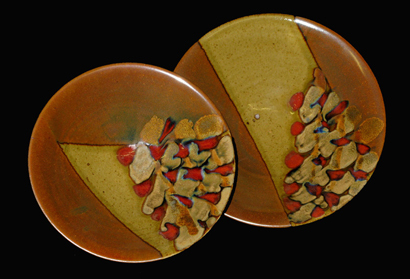 Iron glaze over green glaze with wax resist decoration. 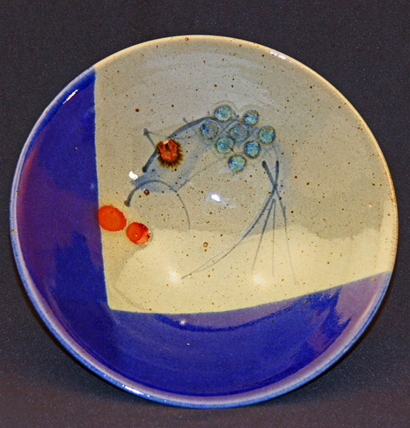 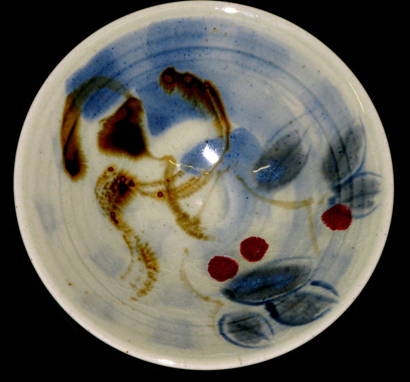 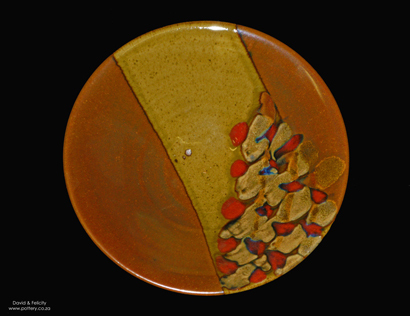 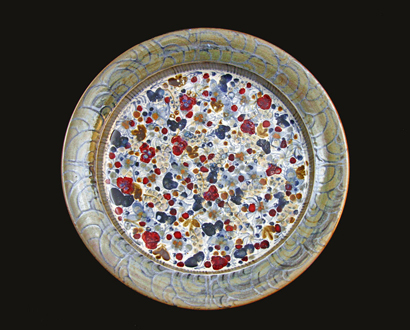 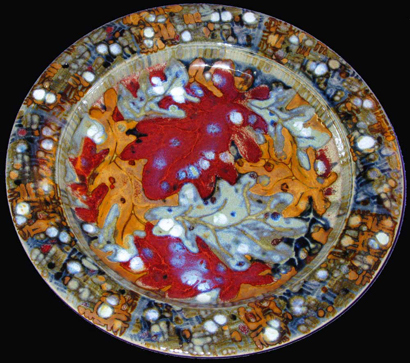 Stoneware platter – 560 mm diameter. 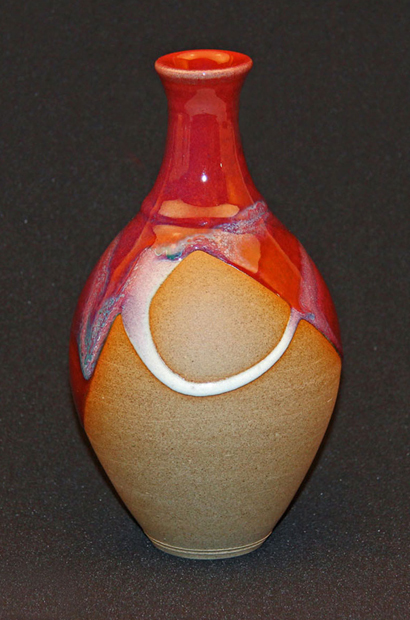 Reduction fired to 1 320 degrees C in an oil kiln. 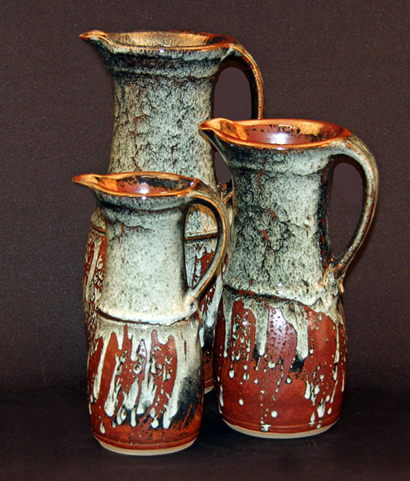 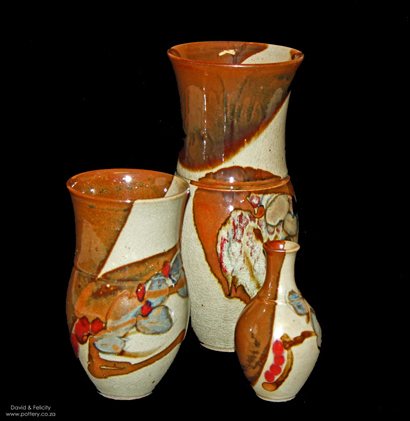 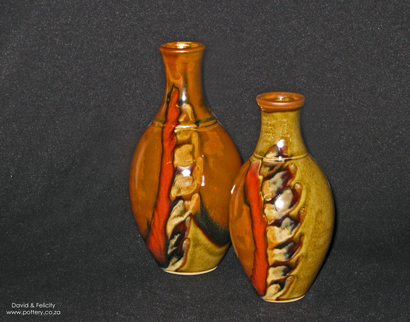 Group of stoneware jugs, or pitchers. 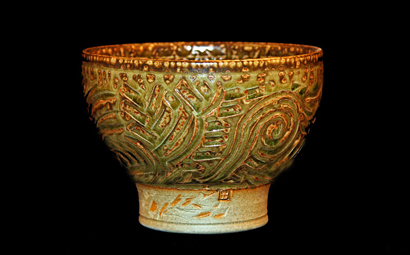 Stoneware bowl, carved surface and straw ash glaze. 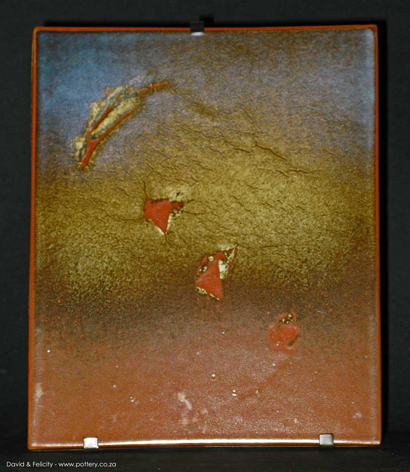 Reduction fired. 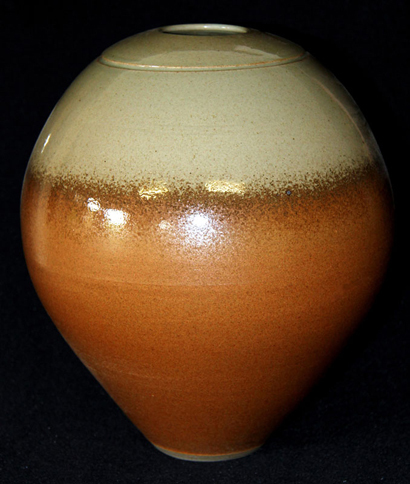 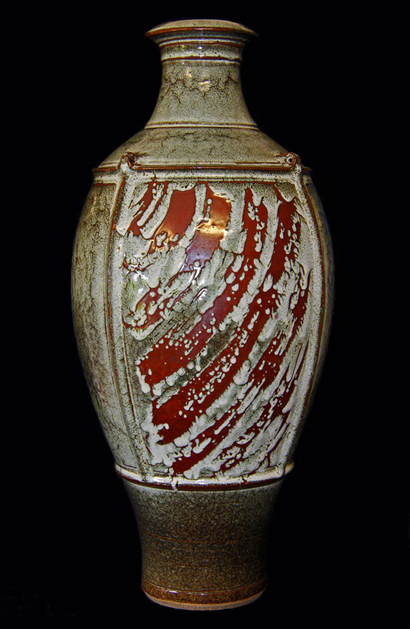 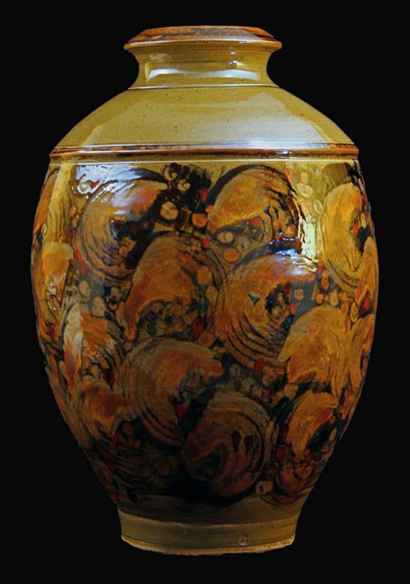 Jar – 680 mm tall Reduction-fired stoneware Wheel thrown, ridges and textured surface. 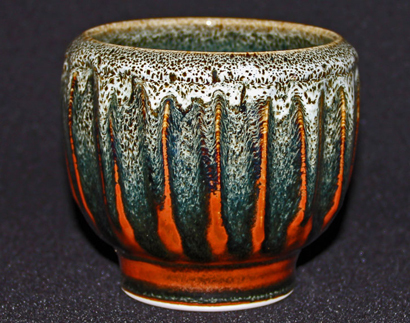 Wood as glaze. 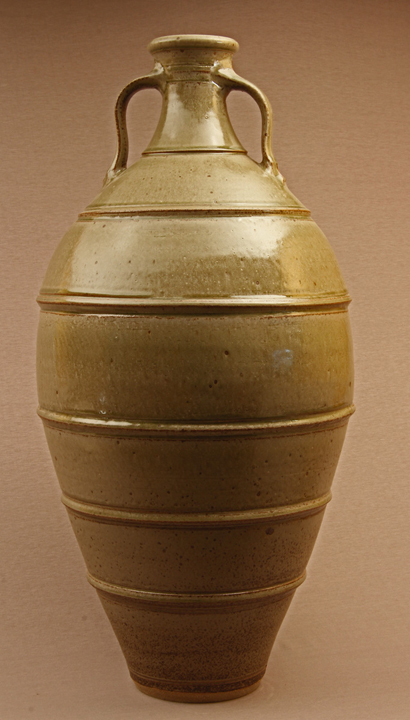 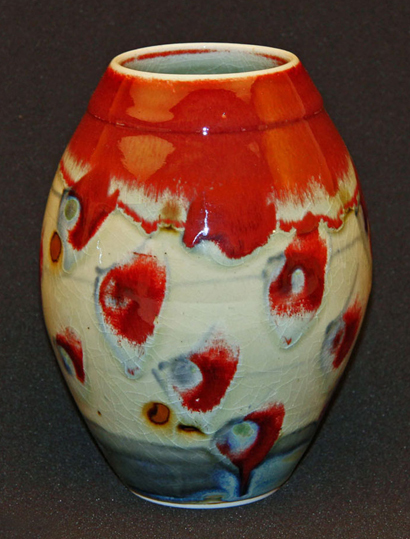 Wine jar – 1 150 mm tall Reduction-fired stoneware Wheel thrown. 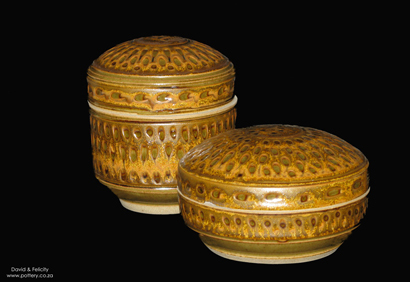 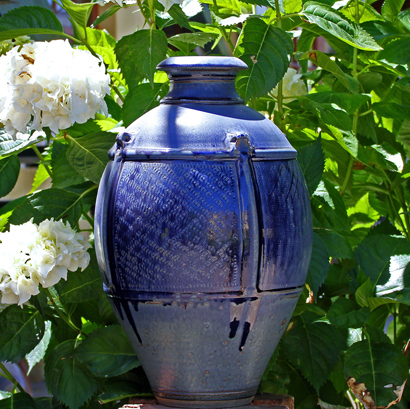 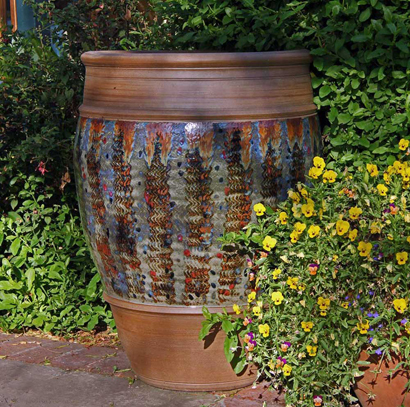 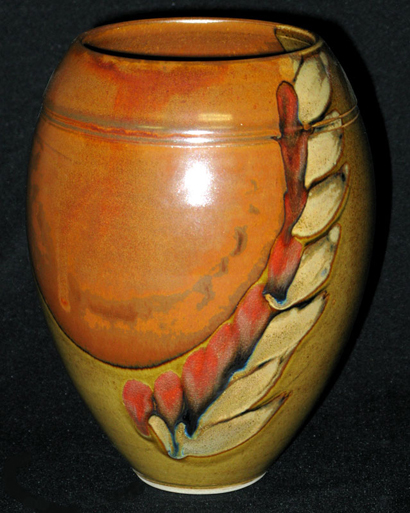 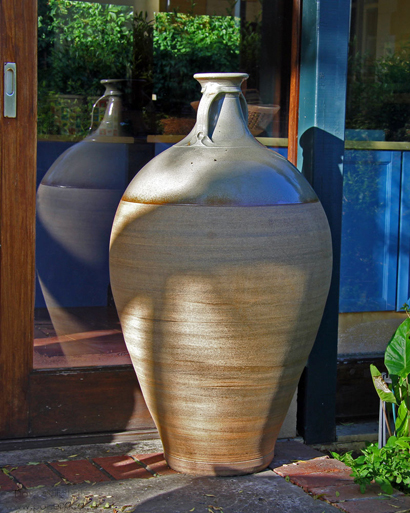 Large planter / floor jar – 860 mm tall. 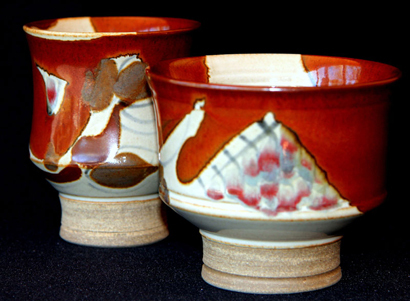 Wheel thrown. 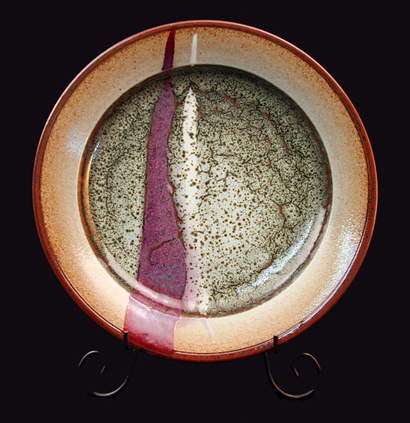 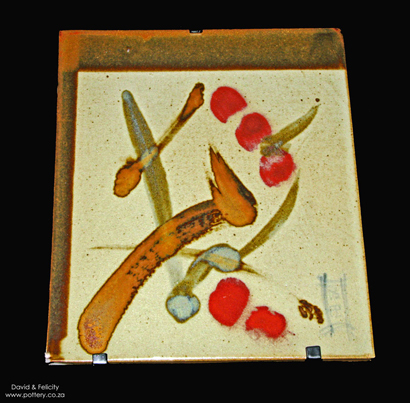 Reduction-fired stoneware. 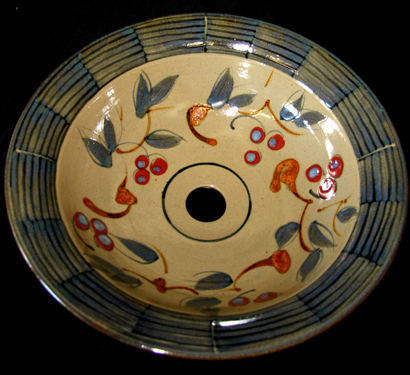 Thank you for spending time on our Current Work pages.